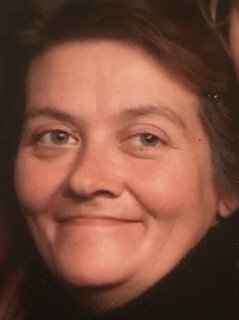 Minette (Mindy) Scullion passed away January 12th, 2019 in her home at the age of 52. She is survived by her four children Travis, Felisha, Crystal, and Brandy Upesleja; grandchildren Sakai, Zachary, Lukas, and Ryder; and husband Patrick Scullion. So sorry for the loss of your dear mother. So sorry for your loss. Travis, you and your family are in our prayers. I’m so sorry for your loss. Thoughts and prayers for your family! Your mom always made me smile whenever she appeared at my classroom door. She was her children’s biggest cheerleader and was always willing to help the teachers when asked. Her legacy lives on in her children and grandchildren. I am so sorry for your loss. I am so sorry you have to go through this terrible loss at such a young age! I remember your mom working tirelessly on the first and only Westropp yearbook! She was always supportive and willing to help me with anything I needed. She so loved her children and wanted the best education so that you had a successful adulthood. You are her proud legacy! Keep her close to your heart-you all have a special guardian angel. So much love and so many prayers sent to the Upesleya children. We think of your mom as your educational hero. She was always there for you and was helpful to all your teachers. May she Rest In Peace.